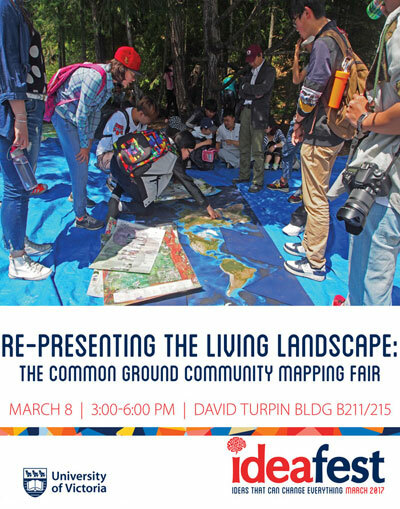 Come and join us for a celebration and showcase of local and global community and green mapping, placemaking, and story gathering projects, supported by the UVic Community Mapping Collaboratory. Meet neighbourhood and campus mappers, students, researchers and activists. Play a community mapping game! Browse the community mapping websites and find out how you too, can engage in mapping wherever you are.